Another powerful explosion occurred at the volcano last night at 17:20 local time (01:20 UTC this morning). The second eruption was much stronger and richer in ash than the first one detected the night before. It produced a relatively large ash plume that rose to 35,000 ft (12 km) altitude and drifted NE at 40 knots. The aviation color code was immediately raised to red; this plume was very dangerous for aircraft in the area who should now avoid the vicinity of the island. 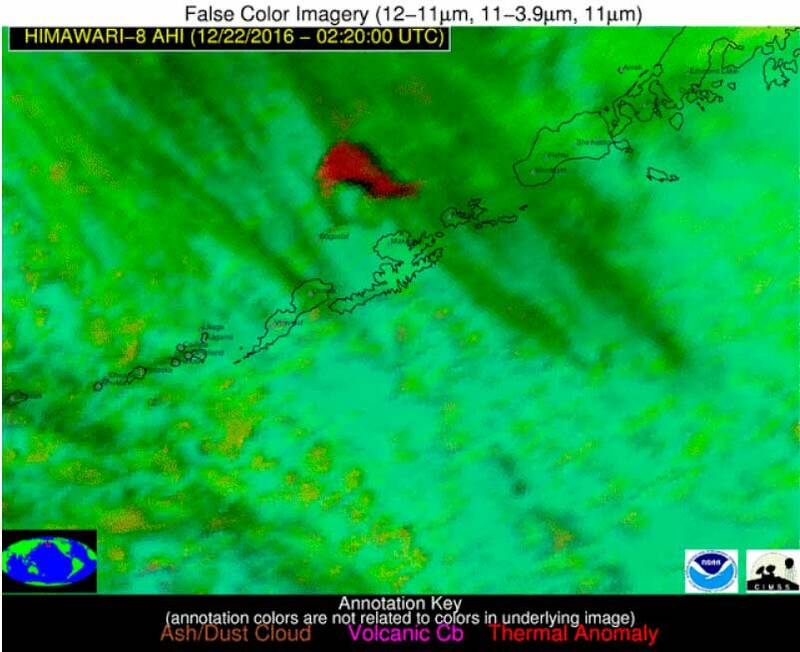 In addition, the Alaska Volcano Observatory could "see" the trace of the explosion on seismic recordings from instruments on nearby volcanoes, in particular Okmok and Makushin. So far, no new explosions have been detected, but it is more than likely that the volcano is in for a series of more explosions although it is impossible to know how big they might be.